Blessed by Aeolus (God of the Wind), it was looking good from the start. At 9:00, there were already white horses on the water with the wind coming from the North East. Perfect for the OOISS Round the Island races. At 9:45 the first sailors arrived for registration of the first race. In total, 26 hobie teams were started from the beach and the Island was rounded 23 times. 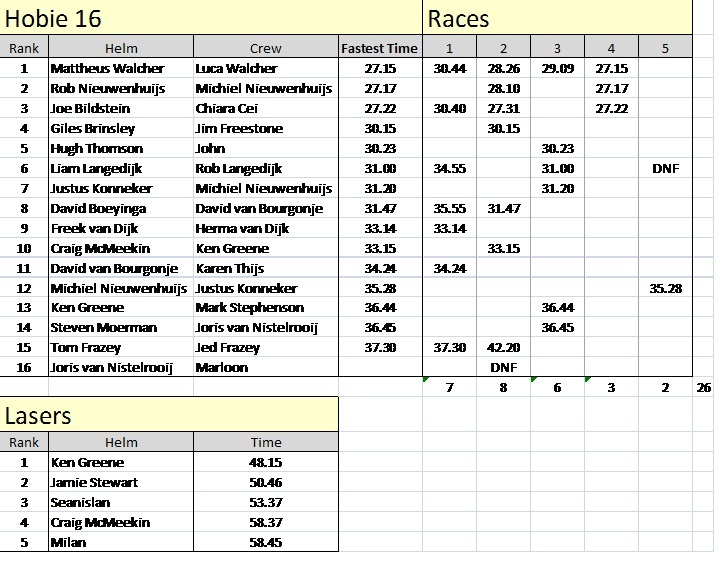 It was very close racing; especially in race 4 were the 3 teams all finished within 7 seconds. The son and father combination beaten the other father / son combination with 2 seconds, with the Tanzacat 2015 combination finishing 3rd, 5 seconds later. The Lasers also sailed around the Island and they had a good solid workout going around the Island. Ken Greene recorded the fastest time: 48min and 15 sec. 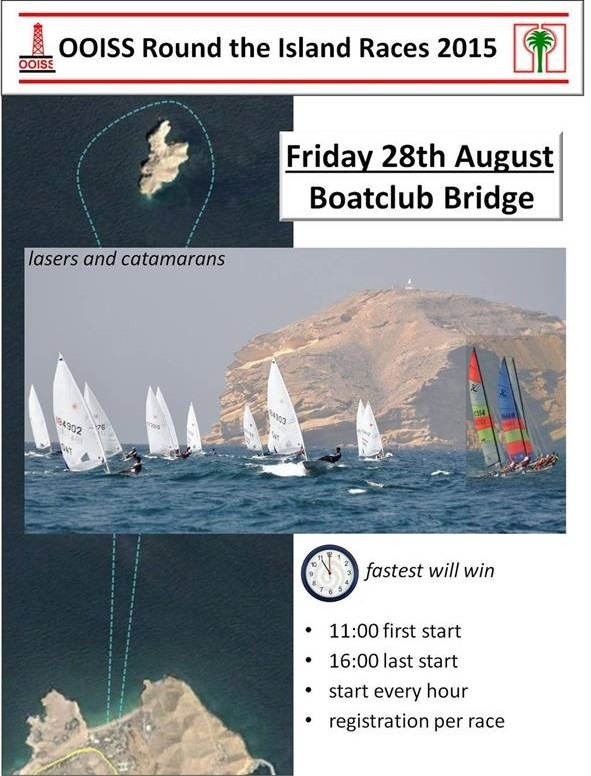 The results for the Hobies and Lasers are listed below. I want to thank Stephen for the time keeping and Roel for sponsoring the event. And thanks to all you participants. If any of you didn’t receive the already famous towel, let me know by email. I will make sure you will get one.